Probably no other aircraft in history has been developed in so many different forms for so many purposes as the Ju 88, with the possible exception of Britain’s Mosquito. The Ju 88 was flown in 1936 as a civil prototype, and it remained of vital importance to Germany throughout the war. After a frantic design process led by two Americans well versed in modern stressed skin construction, it was transformed into a heavier, slower and more capacious high-speed level- and dive-bomber of the type just then entering service when war broke out. Structurally the aircraft was excellent, combining a large internal fuel capacity with great load-carrying capability, and despite the fact that many of its variants were mere “lash-ups”, the performance of the aircraft was never so degraded as to become seriously vulnerable – as the Dornier and Heinkel bombers were. 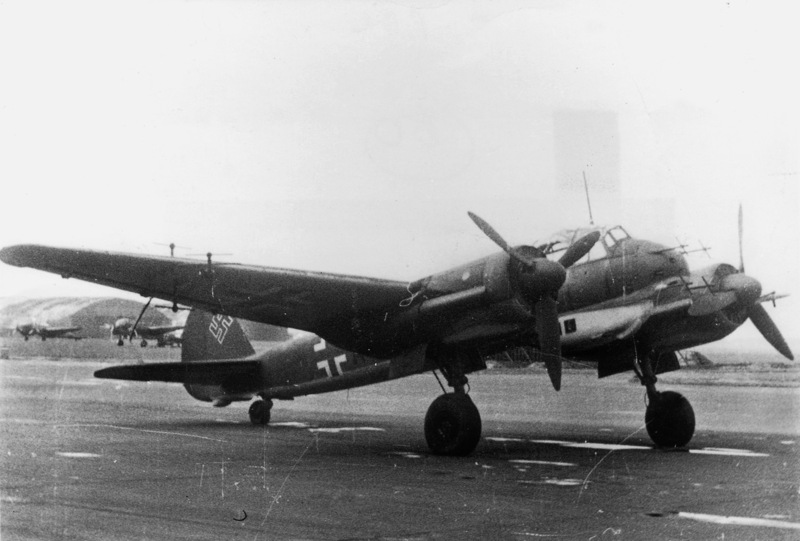 The most important early model was the Ju 88A, of which some 7000 or more were delivered in variants up to the Ju 88A-17 with steadily uprated engines, enhanced defensive armament and improved offensive capability. The final total of 15,000 Ju 88s of all models gives an idea of the significance of this aircraft, which as well as its bombing role was also developed to serve as a night-fighter, close-support and big-gun anti-armour machine, and missile-carrying reconnaissance platform.